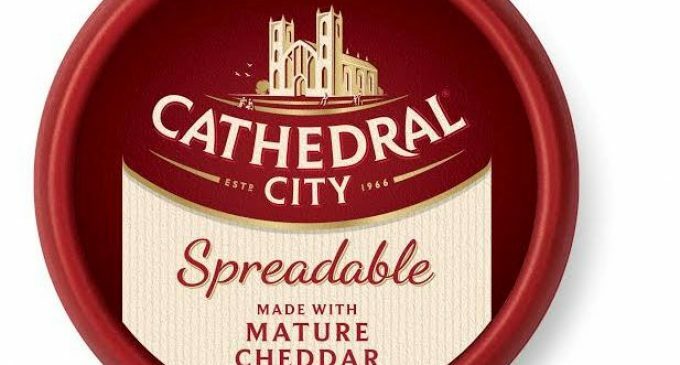 UK dairy group Dairy Crest is launching a new extended range of spreadable cheese under the Cathedral City brand. Two new variants, Extra Mature and Garlic and Herb will join the existing Mature range. The range will carry the new Cathedral City pack design, offering increased stand out on shelf. The range launch will be supported by significant levels of through the line marketing support including digital, outdoor, shopper marketing, PR and social media. Spreads is the third biggest cheese segment, worth £302 million RSV, bought by 82% of all UK households, with the majority of the sector made up of Soft Cheese and Kids Spreads. Adult Spreads performance is in decline suggesting the current offering is not meeting consumer’s needs, but there is an opportunity to reverse this. The relaunch of Cathedral City’s Spreadable range and extension with two new variants will extend the choice of Adult Spreadable cheeses within a category where variety and innovation is important for driving incremental sales. Cathedral City, the nation’s favourite cheese brand, is currently worth over £277 million and bought by 58% of UK households. It is bigger than all other branded cheeses combined and is Britain’s 16th largest grocery brand.